Choose a set of 2, 3 or 4 young kids stools at $158 a stool. 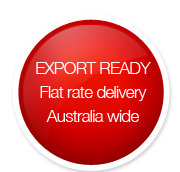 $22 flat-rate delivery Australia wide regardless of number of stools. Competitive freight for exports - see "international Delivery Charges" on Delivery page. Perfect first independent seat for a child, the Shortstop doubles as a mini table, footstool or stepstool, making it popular among those with and without kids. This much coveted Aussie brand is admired as much for its strength +versatility as for its modern aesthetic.